Tyler Farr is somewhat of an outlier in country music. His gravelly voice wouldn’t suggest it, but the Missouri native is a classically trained opera singer who spent his senior year of high school singing tenor in Missouri’s All-State chorus. His first single, “Hot Mess,” had virtually no success despite being cowritten by Rhett Akins, while “Redneck Crazy” was almost universally disliked by critics before becoming his breakout hit. All in all it has been an unlikely rise for Farr who today released his sophomore album, Suffer in Peace. 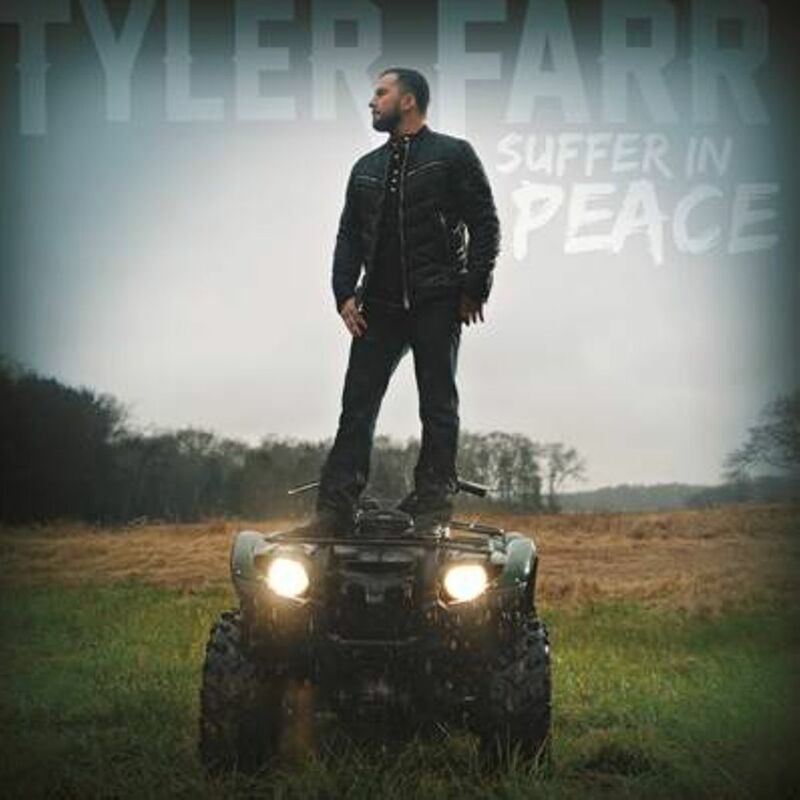 The highlights of the record are also the the highlights of Tyler Farr as an artist in general. At a time where country music is getting increasingly shallow, sometimes to a fault, sometimes for the better, Farr digs deeper and continually cuts songs with some sort of emotional value. Whether they are about heartbreak, falling in love, or overall pride in one’s roots, he never fails to disappoint in choosing and writing songs. Top to bottom the album is extremely good. There’s a solid mix of new age and traditional country production that fits Farr’s profile as an artist. The combined momentum of having three top five singles in a row and being an opener on Aldean’s Burn It Down Tour should prove to be key in the success of this record. Because it is different from what other artists are putting out in terms of track style, it could struggle a bit with more casual fans, however for more dedicated listeners who can appreciate someone staying true to their identity while also pushing themselves, it should be a hit. This is one of the best albums of the year and could easily help launch Tyler Farr’s career to heights yet unseen.